Jump, fly, bounce and dash your way through geometric worlds and music beats! Are you ready for the challenge? Dodge random obstacles following the rhythm of the music and reach the impossible game modes where only the best survive. ★ Dash through 8 unique endless procedurally generated worlds! ★ Unlock new avatars, colors and trails to customize your character! ★ Find hidden secrets and avatars with special powers! ★ Choose between 3 increasingly difficult game modes, from normal to impossible! ★ Play offline without wifi! No need of wifi or Internet access! ★ Are you low on space disk MB on your phone? The game is under 25MB! ★ Enjoy the amazing soundtrack from top artists Waterflame, DJVI, EnV, F-777 and BossFight! 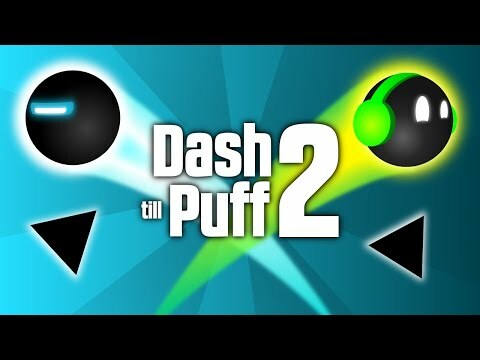 Download Dash till Puff 2 now and add it to your collection of free games under 25MB that don't need wifi. Be warned though, it's highly addictive!